The toppling of the Speaker of the House adds to the litany of political misjudgments by the Australian prime minister. A combination of a lack of imagination on the part of the Australian media and a series of political misjudgments by Prime Minister Tony Abbott has meant that there has been a series of “-gates” through the government’s time in office. 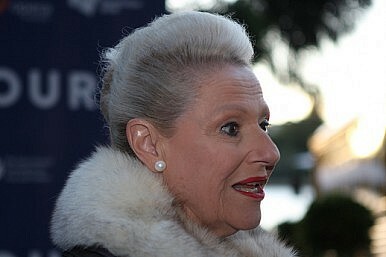 The latest is Choppergate, in which Speaker of the House Bronwyn Bishop took a taxpayer-funded helicopter trip from Melbourne to nearby city Geelong at a cost of A$5227 ($3833). Depending on your point of departure, the trip should take just over an hour in a car and even less on the regular trains that service the route. Bishop was attending a party (Liberal) fundraising event. Further revelations are that she spent A$600 to travel to a political colleague’s wedding some years before, as well as trips to Europe and other fundraising events. There has been the usual and obvious explosion of satire via social media (largely photoshopped memes of baroque or high-tech modes of transport subtitled “going out for milk,” etc.) and calls for her resignation. Though the information came out in mid July it took until the beginning of this month for Bishop to resign as Speaker and almost as long for her to apologize. Abbott has now conceded that Bishop’s political career (though not her pension, which will be A$255,000 plus ten free domestic flights per year) is now “substantially at an end.” She has not yet quit parliament; however, given it resumes August 10 may yet be persuaded, or forced. The problem here is not simply that Bishop, a partisan Speaker who sent out only seven Liberal party members of parliament but ejected 393 Labor members, took so long to apologize, or later resign, but that she was so well protected by an arguably even more partisan Abbott who put his friendship with her before his professional duties. Had Abbott not been such an attack dog when in Opposition over expenses or the resignation of another Speaker back in 2011, this might have been a little easier to swallow for a polity, and Liberal Party, already questioning their leader’s judgment. But memories of his varied other “captain’s calls” are fresh (it is less than seven months since he knighted Prince Philip) and the laissez faire attitude a little hard to swallow. However after last year’s deeply austere budget, accompanied by a mix of fuzzy explanation and moral chest beating over “entitlements,” and an earlier vote against him by his own party Abbott may ultimately pay as high a price as Bishop has. He has acknowledged this, saying he’ll pay a “personal price.” Certainly, members of his own party were much quicker than he was to excoriate the big spending Speaker. Communications Minister Malcolm Turnbull live tweeted his own tram and train journey to Geelong from Melbourne. Given Australia’s current political climate this was reported as news. At the same time Labor frontbencher Tony Burke is facing questions over his own travel expenses – he may have taken his family to Uluru (Ayers Rock) in the Northern Territory. Can Tony Abbott hang on? The public has seen worse and without an election soon he may recover – or simply have time to fashion few more and varied nails for his political coffin. Considered by many a buffoon, the businessman now holds the balance of power in Australian parliament.